Indiana Center for Middle Easte Peace hosts the screening of the powerful documentary, narrated by Pink Floyd's Roger Waters, The Occupation of the American Mind: Israel's Propaganda War in the United States, April 20, 6:30pm. The Auditorium at Manchester University College of Pharmacy, 10627 Diebold Rd (off of DuPont Road), Fort Wayne, IN 46845. Israel's ongoing military occupation of Palestinian territory and its repeated invasions of the Gaza strip have triggered a fierce backlash against Israeli policies virtually everywhere in the world — except the United States. The Occupation of the American Mind takes an eye-opening look at this critical exception, zeroing in on pro-Israel public relations efforts within the U.S. Narrated by Roger Waters and featuring leading observers of the Israeli–Palestinian conflict, the film explores how the Israeli government, the U.S. government, and the pro-Israel lobby have joined forces, often with very different motives, to shape American media coverage of the conflict in Israel's favor. 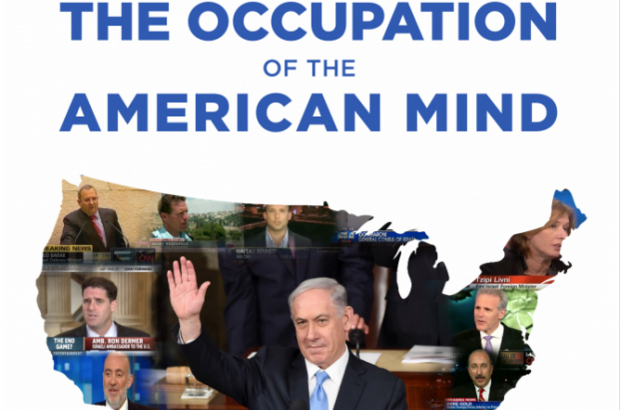 The Occupation of the American Mind provides a sweeping analysis of Israel's decades-long battle for the hearts, minds, and tax dollars of the American people — a battle that has only intensified over the past few years in the face of widening international condemnation of Israel's increasingly right-wing policies.